I’ve talked about the method of loci – a set of locations in the landscape used as memory aids – the most effective memory aid known. I believe that the singing tracks of the Australian cultures, the sacred trails of the Native Americans and sacred paths found in cultures around the world served the needs of memory in exactly the same way. Uluru, Central Australia. Photo: Ian Rowland. The massive natural Central Australian monolith, Uluru, is easily visualised as mythological landscape with a path encircling the entire rock. The pathway around Uluru is nearly nine kilometres long. 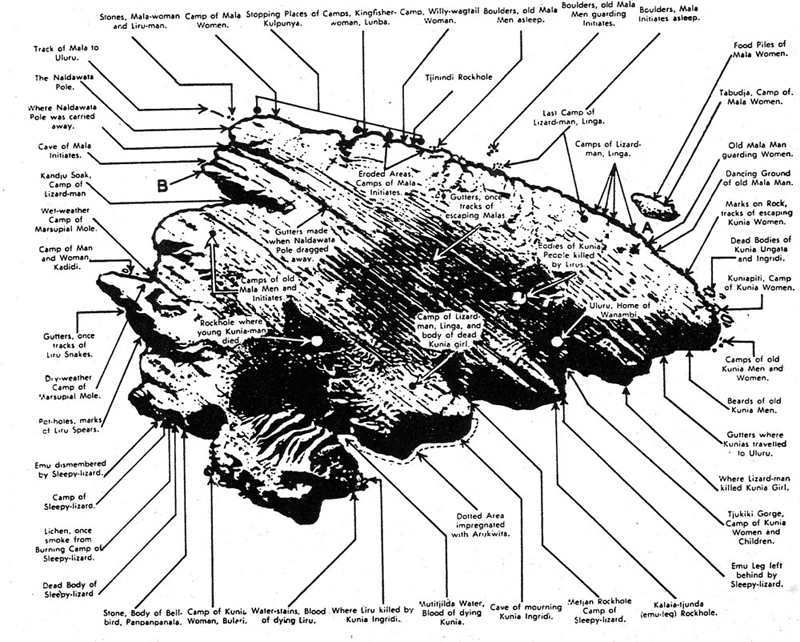 The many crevices and indentations around the base are each linked with stories. As I detail in my research and forthcoming books, the songs and stories of non-literate cultures are the means by which a vast store of information is retained, much of which is knowledge of plant and animal classifications and characteristics, navigation, weather, tides, a calendar, a pharmacopoeia, rules and ethics, genealogies all integrated with history and religion. 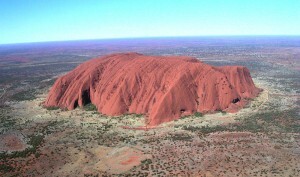 Australian anthropologist, Charles Mountford, described how almost every feature on the surface of Uluru (at that time referred to as Ayers Rock), is named, acting as a mnemonic for mythological story. It is so easy to imagine walking the rock, each crevice and point reminding you of a story and the encoded knowledge. Over years of learning, the amount of knowledge encoded in this sequence of locations would become vast. The Anangu traditional owners describe Uluru as part of their knowledge system, Tjukurpa, which they explain has many deep, complex meanings including the law for caring for each other and their Country, the relationships between people, plants, animals and the physical features of the land, the past, the present and the future. It is not necessary for the Anangu knowledge specialists to be walking the rock to recall the stories. The sequence of sites is so well-known after years of learning that they can travel and part of the perimeter in their memories whenever they want. This is the art of memory exactly as described by the ancient Greeks. This entry was posted in art of memory, Australian Aboriginal, indigenous memory systems, memory, Memory Spaces, method of loci, mnemonics, orality, primary orality and tagged Anangu, art of memory, indigenous, knowledge, memory, Memory Spaces, memory systems, method of loci, mnemonics, orality, Tjukurpa. Bookmark the permalink.